Collection from your hotel at 8.30am, arriving in Celtic Rider 30 minutes later. Pack and enjoy tea/coffee before sitting through our award winning safety Orientation Course. After your Safety Orientation Course and ride out you will then begin your first day’s route on your tour. Heading for Virginia, through the agricultural midlands of Ireland. Enjoy lunch in Virginia, then continue up towards Carndonagh. Skirting around Derry, you will be riding Inishowen Peninsula. Continuing on to your accommodation where you will reside for two nights. Carndonagh offers some great local pubs and restaurants. Food in Irish restaurants tends to be local produce, and there will be no shortage of Irish culture to be found in this magical town. Stopping at the Glenevin car park in Clonmany village, take the short walk along an ancient gorge to view Glenevin Waterfall. Follow our Garmin route: first stop is Five Fingers Strand, the largest sand dunes in Europe. Continue north to Bamba’s Point in Malin Head, most northerly part of Ireland to enjoy awesome ocean views. Ride on to Fort Dunree, magnificent military museum towering over Lough Swilly. Next is the magical Mamore Mountain Pass, with wonderful ocean views from the viewing area. 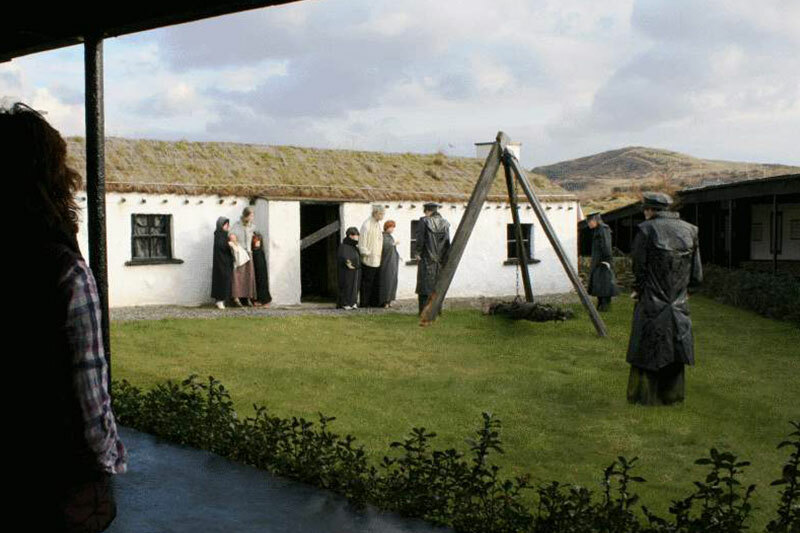 Next on the list is Doagh Famine village in Doagh Isle, an authentic small Irish village to see for yourself what life was like during the 1840’s Ireland. Continue along the route in your Garmin towards Ballycastle, than take the small coast road to Carrick-a-Rede rope bridge. A 15 minute walk is involved but the narrow bridge walk is good fun..
Ballintoy Harbour is your next optional stop, nice place for refreshments beside the sea. 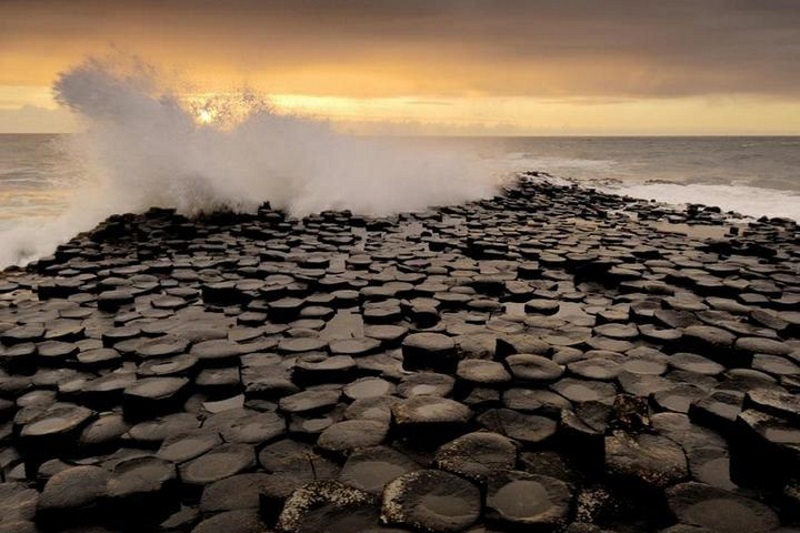 Next stop is the Giant’s Causeway – which is a World Heritage Site, famous for its basalt columns. Continue to Bushmills with an opportunity to visit Bushmills Distillery. Drive along the coast to Portrush with the option to visit Dunluce Castle. Journey onwards to either Magilligan point for the ferry or Derry city. Optional tour of the walled city of Derry. Continue to Carndonagh via Derry or the ferry. Follow the Garmin route heading west, first town is Killybegs, Ireland’s deep sea fishing port, largest trawlers in the world fish from here. 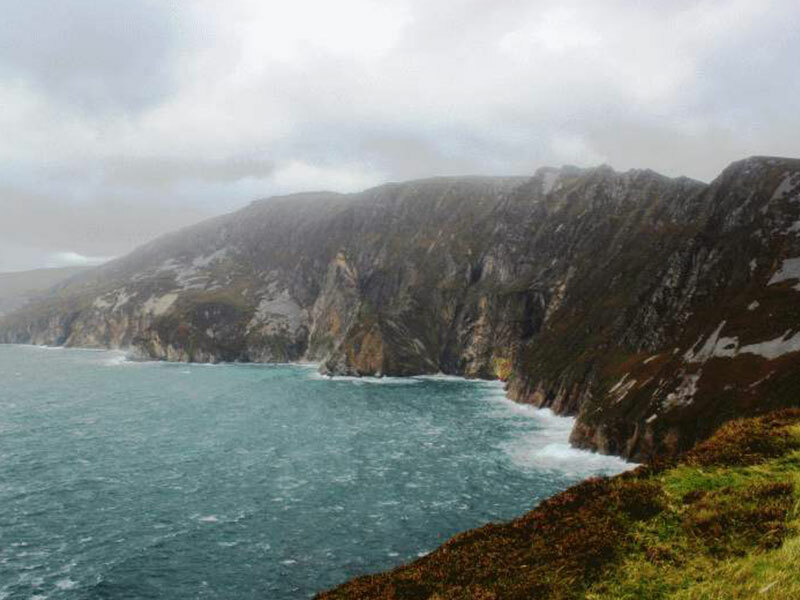 Continue to Teelin than Carrick village and look for sign for Slieve League Cliffs, the ride up is awesome, and the cliffs are the highest in all of Europe, 2000 ft. The view over the Atlantic Ocean is simply breath-taking. Departing the cliffs ride to Glencolumbkille, than to Ardara via the amazing Glengash pass. From Ardara ride to Clooney and Glenties. 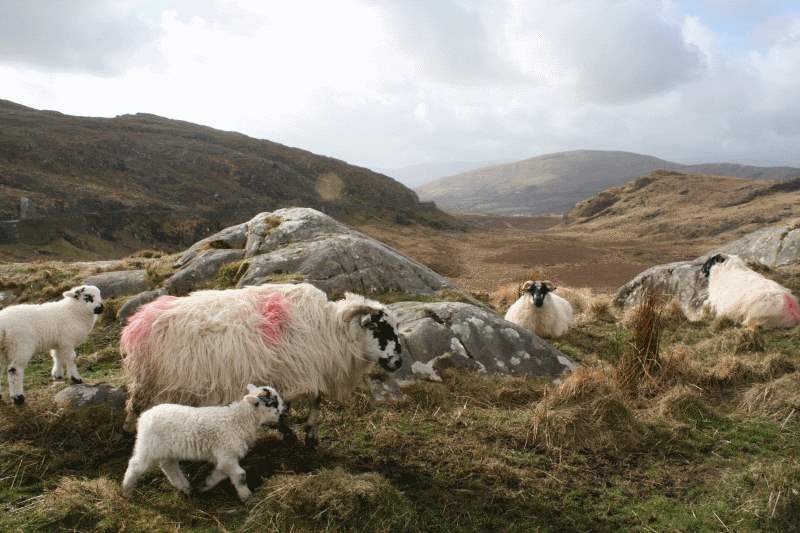 Return to Donegal town via Frosses and enjoy the surrounding Bluestack mountains. Relax and enjoy Donegal town. Departing Donegal head south, Drumcliff is where Ireland’s beloved poet W.B.Yeats is laid to rest. 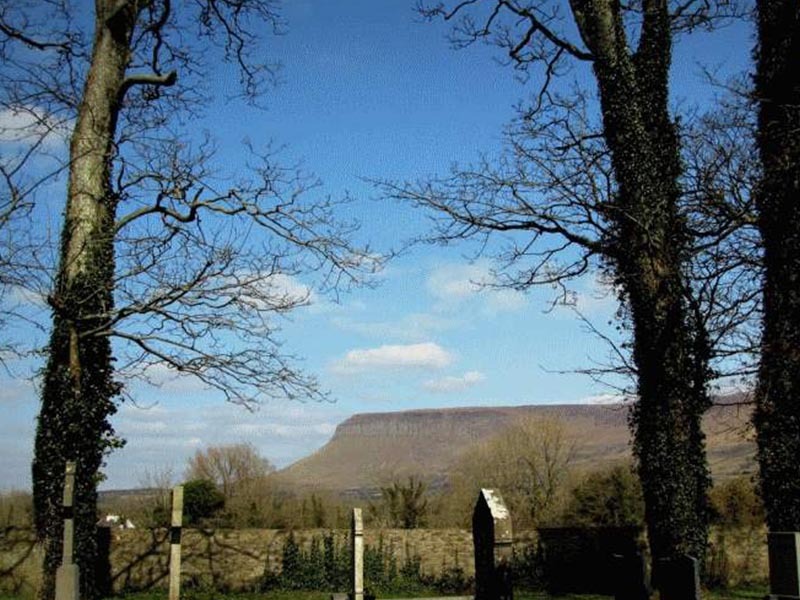 Benbulbin table top mountain dominates the skyline. 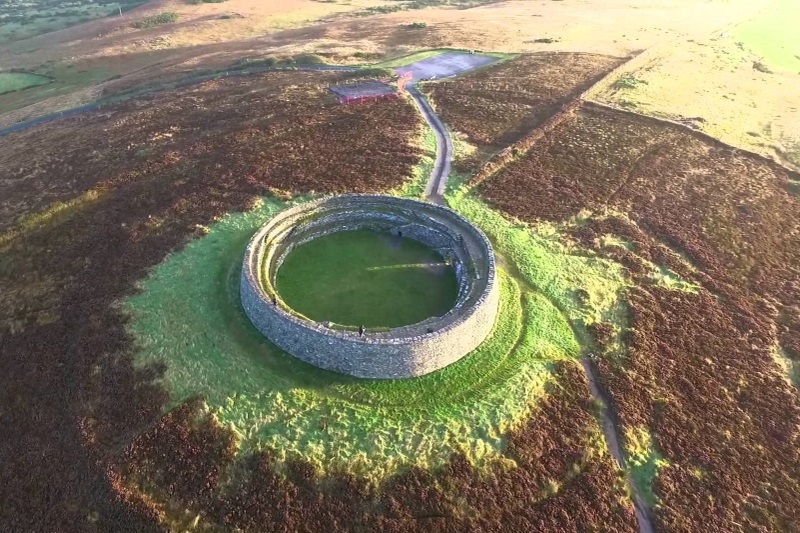 Must visit is the ‘Ceide Fields’ visitor centre, the oldest and largest stone walled village in the world, 5200BC. Ride south through Ireland’s most remote area, from Bangor ride Ballycroy National Park, please stop at the Ballycroy visitor centre, Europe’s largest expanse of blanket bog, local people working there will happily tell you the history of this region. View the Nephin Beg Mountains and look out for local people cutting turf. The ride to Mallarany is spectacular as it winds along the sea. 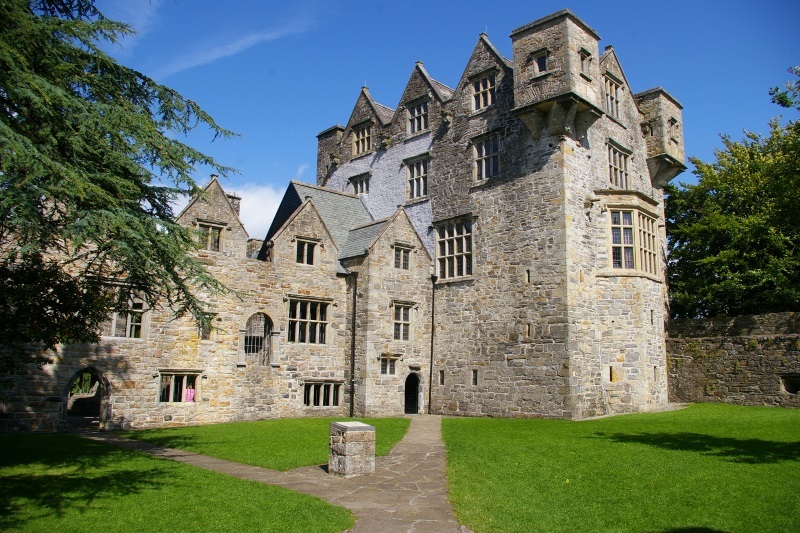 There is a nice Abbey, Burrishoole Abbey, between Mallaranny and Newport, optional but worth visiting. Check into Westport accommodation for 2 nights. Leaving Westport for Maam Cross we are now heading for the spiritually haunting experience of Connemara National Park, a magical ride. From Maam cross ride to Roundstone coastal village than continue to Clifden. From Clifden town take the aptly named ‘Sky Road’ with outstanding sea views are you ride higher and higher to the viewing area. 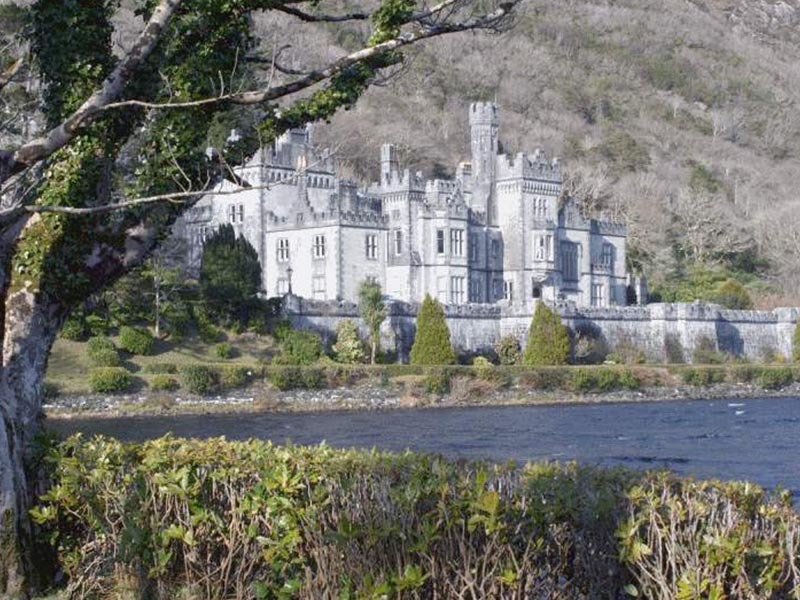 Continue to Kylemore Abbey for hot scones and freshly brewed tea This is a magnificent Benedictine Abbey in a stunningly beautiful wooded valley. 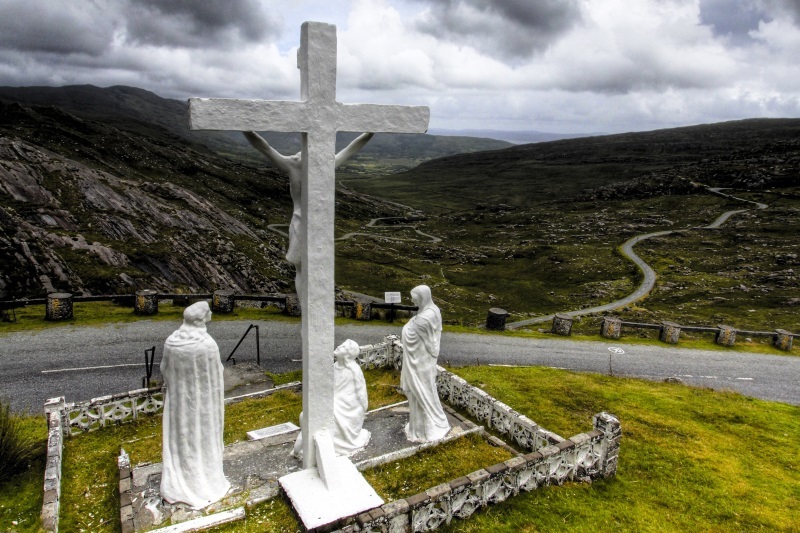 Ride to Leenane village look at Irelands deepest fjord, than ride the incredible and narrow Doo Lough Mountain Pass with towering mountains on either side of you. Ride back now Westport via Louisburgh and admire Irelands holy mountain ‘Croagh Patrick’ en route back to Westport. Departing Westport ride to Leenane than skirt around Galway city. Take the N67 coast road to Kinvara village, optional visit to Dunquire Castle, you can walk up a very narrow stone stairwell to the top of the castle. Optional visit to Aillwee caves, a subterranean cave deep under the Burren, a great tourist attraction. Park bikes in the upper car park with fantastic views across Galway Bay. 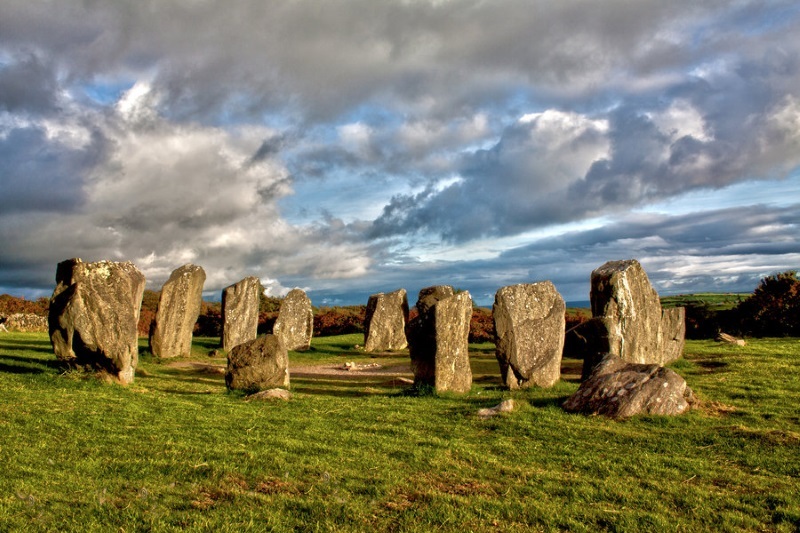 The Burren National Park is unique in the world; it is a vast limestone plateau covering 400 sq kms(250 sq miles). Next stop is Poulnabrone megalithic portal Tomb, many thousands of years old. 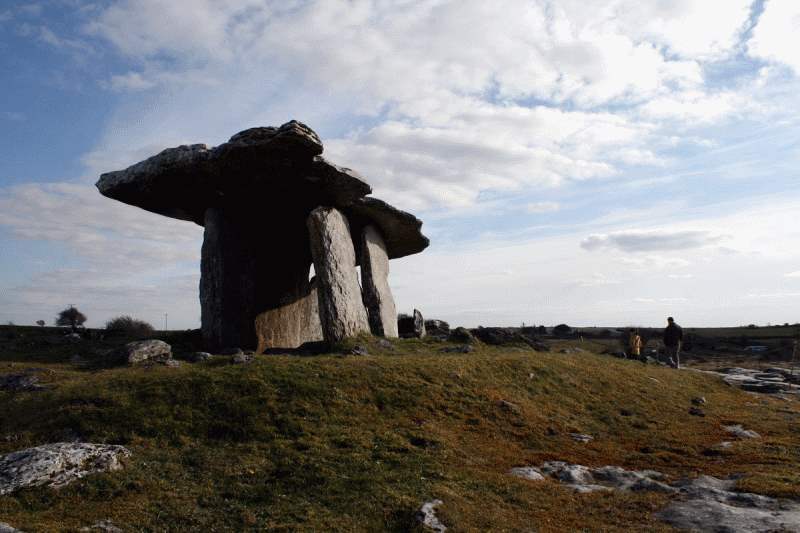 You are now in the heart of the Burren National Park. Skirt around Ennis and continue to Bunratty village. Enjoy a four course medieval meal in Bunratty castle, or a traditional night of Irish food and dance in the Corn Barn, alternatively Durty Neely’s is a great old pub in the village. 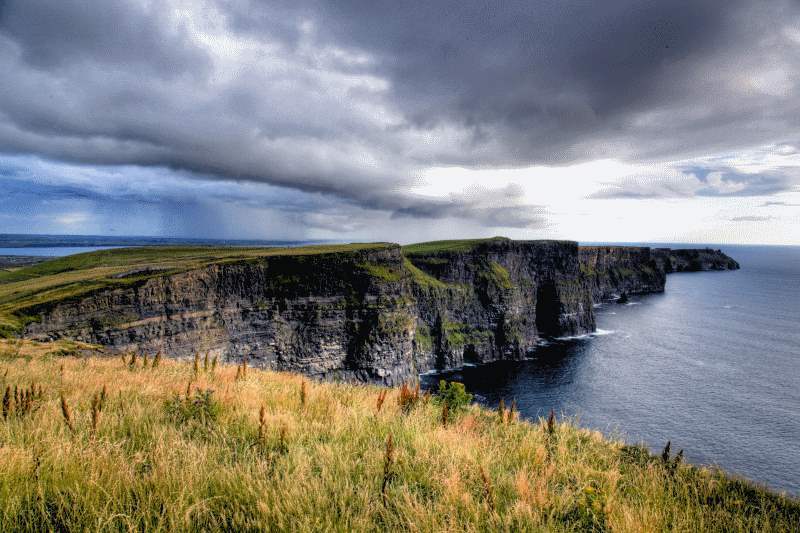 Ride to Ennistymon and continue to the Cliffs of Moher, magnificent vertical cliffs towering over the Atlantic Ocean, shortlisted to be one of the great natural wonders of the world. Travel onwards to Doolin, optional and exciting ferry ride to see the cliffs from the ocean, spectacular on a sunny day. Follow the route north along the coast road to Blackhead, stopping at Murrooughtoohy car park. Take a walk on this bizarre limestone beach with millions of boulders deposited from the last ice age, and beautiful wild orchids living in cracks in the limestone rock. A short walk brings you to the ocean. Follow the route to Kilfenora, interesting visitor centre there, optional, continue back to Bunratty accommodation via Carrofin. Leaving Bunratty take the road to Killimer and board the ferry for the short crossing to Tarbert in Kerry. Listowel, famous for horse racing, than Tralee and ride to Camp village on the Dingle Peninsula, described by the National Geographic magazine as one of the most beautiful places on the planet. From Camp ride to Stradbally and take the road signed Conor Pass, a mountain ride with everything you could wish for as a motorcyclist, mountain, sky and ocean views, awesome ride. From Dingle ride along the coast taking in Inch beach and on Killorglin, famous for its Puck fair, to your destination, Killarney. Killarney, affectionately known as the ‘Jewel of the South West’ is a great town, buzzing with great restaurants and pubs. Either take a rest day and cruise the Killarney lakes taking in the majestic mountain views and a pony and trap ride over the Gap of Dunloe, plus a bit of shopping, relax if you wish. 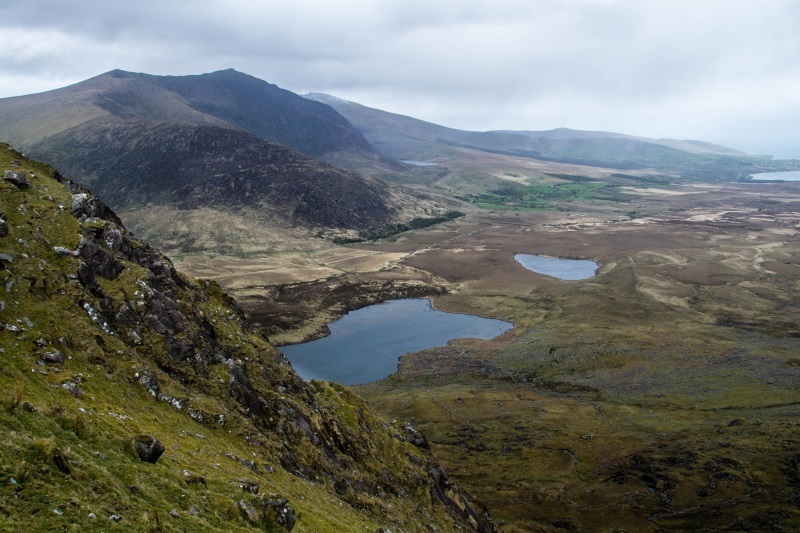 Alternatively, ride the world famous Ring of Kerry, and the incredible Gap of Dunloe, the most beautiful glaciated valley in Europe, a challenging ride but very much worth the effort. Continue around the route, deviate to ride the Skellig Ring, another awesome off shoot off the main Ring of Kerry. Continue back to Killarney accommodation. Departing Killarney we now ride past Kenmare towards Bantry, heading west to Tousist and then the magical ride over the twisty Healy pass, construction started during the great Famine years of the 1850s. Onwards to Adrigole, Ballylickey, great views of Bantry Bay. 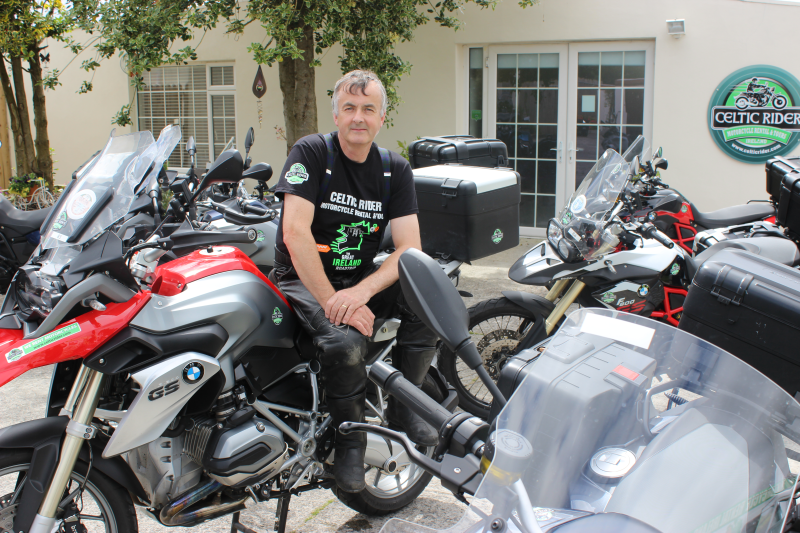 Ride to Clonakilty town in west Cork. Check into Clonakilty accommodation and enjoy the evening in this lovely west Cork market town. Leaving Clonakilty, follow the route to Drumbeg Stone Circle, than continue to Baltimore and visit Baltimore Beacon, a short walk is required to get to the beacon. Optional visit to Kinsale, a gourmet coastal town and optional ride up to Charles’s Fort, a 17th Century star shaped fort, with 5 bastions. This is an excellent example of coastal fortification. Lots of coastal routes to explore. Departing Clonakilty ride towards Cork city. From Cork take the M8 to Cashel, the Rock of Cashel was the seat of the high Kings of Ireland for over a 1000 years. Nice place to visit and have lunch in the town. Return to Celtic Rider Rental Station. We will arrange the drop off to Dublin city accommodation or Dublin Airport. Pricing & Details *please note that we endeavor to keep all prices as stated below, however due to certain peak times some accommodation providers costs increase and this can be reflected on your quote. All prices below are ‘From’ the price stated but more often they are the actual price stated.